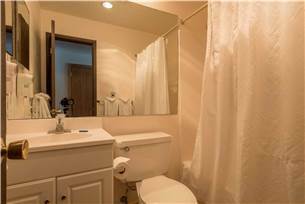 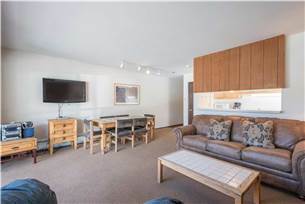 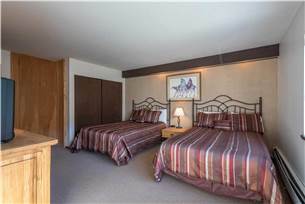 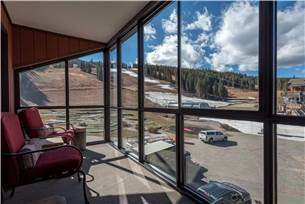 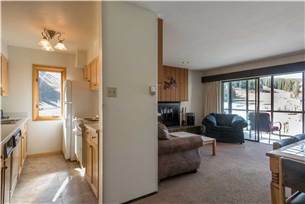 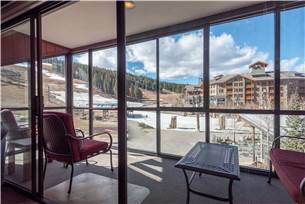 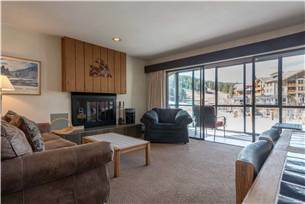 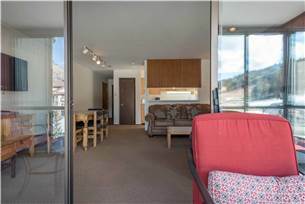 Enjoy being right in the middle of all Copper Mountain has to offer in this 750 sq. 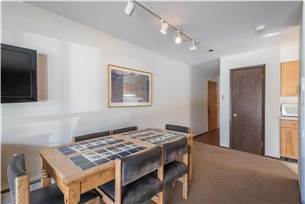 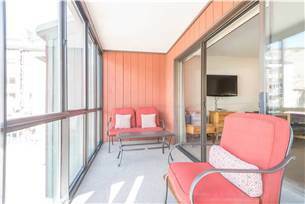 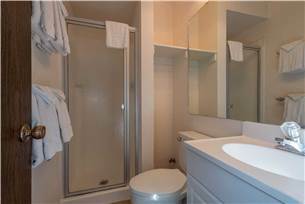 ft. 1 Bedroom 2 Bath condominium with a Sunroom that overlooks the Burning Stones Plaza. 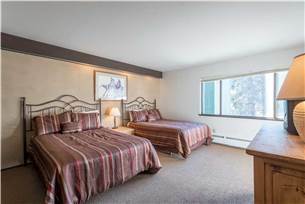 The spacious Bedroom features two new Double Sized Beds, cable TV and a 3/4 Bath. 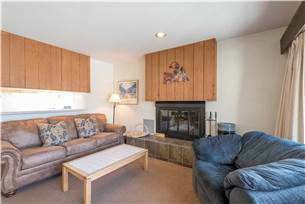 The Living Room centers around a Wood Burning Fireplace, with recently updated tile work; a Queen Sofa Sleeper, bringing the Total Accommodation to 6 people; a TV and DVD player with a stereo, as well as, Free WiFi. 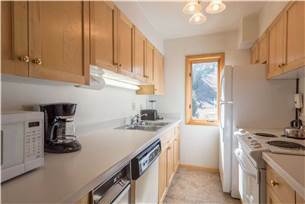 The Full Size Kitchen opens up into the Dining Space and the Second Full Size Bath is located just off the foyer. 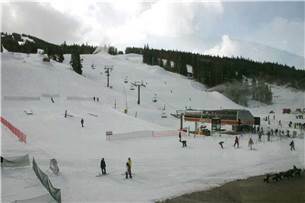 The building is "Ski-in/Ski-out", has Community Laundry Facilities and is located just yards away from the lifts of the Center Village, as well as, many of Copper's restaurants and shops. 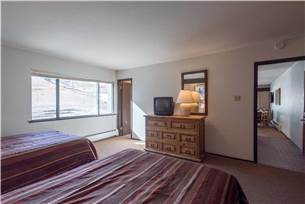 Free wireless internet too.